Dishwasher Turns On And Starts By Itself – Causes and Solutions? My dishwasher begins running on its own sometimes. It will turn ON and begin washing. The front display board or touchpad will light up and the dishwasher will begin washing at random times. No person or thing is pressing any of the buttons on the dishwashers display panel. The dishwasher is 4 to 5 years old. All wash cycles, display lights, and cleaning functions work properly but I never know when the dishwasher will start by itself. Could this be a power board control issue or safety switch problem? To help me save money on an appliance service call, can you tell me which parts, part, or issue that can be causing the dishwasher to turn on by itself? If this ends up costing me a lot of money to fix, can you recommend what brand of dishwasher to buy with a high reliability rating? 1. Keypad/Display has been touched inadvertently. 2. DELAY Wash Cycle has been turned ON. 3. Keypad or Display Panel has STUCK Button or Unresponsive Buttons. 4. Main Control Board needs to be Reset. 5. Main Control Board (behind keypad or display) is Faulty. 1. Make sure the dishwasher controls are not touched inadvertently. 2. Be sure you are not inadvertently pressing certain button(s) when the wash cycle has ended and you open the dishwasher. 3. Make sure you are not mistakenly setting the dishwasher on a DELAY MODE wash cycle. 4. Examine to see if a key on the keypad of the dishwasher panel is stuck or permanently pressed inwards (constant pressing of wash or delay button). 5. Be sure all the keys or buttons on the display panel are responsive or “working”. 6. Shut off power to the dishwasher for 15 minutes to attempt a main control board reset or “reboot”. NOTE: These are general instructions, some dishwasher parts and repair methods will vary. 1. Disconnect power to dishwasher. 2. Access and disconnect the console ribbon connector from the main control board. 3. Be sure the harness or connectors that you temporarily removed are not touching anything. 4. Once the console ribbon connector is removed from the main control board, use caution and apply power to see if your dishwasher starts up by itself. 5. If your dishwasher starts up again by itself, there is most likely a issue with the control board, replace the main control board assembly. 6. If the dishwasher does not turn on by itself, possibly replace either the console, keypad, or wire harnesses. IMPORTANT NOTE: If you are not sure which part to replace, visually examine the main control board and check the components on the board itself, look for burn marks, melted relays, burnt relays, loose relays, loose wires, damaged wires, bulged capacitors, cracked components, etc. 95% of the time a dishwasher starts up all by itself the cause is a faulty main control board. 1. 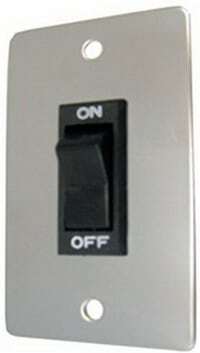 You can install an ON/OFF switch on the wall for the dishwasher. This is so power is ONLY going to the dishwasher when the switch is turned ON. 2. You can leave the dishwasher door open so there is about a 1 inch gap when not in use to prevent the door latch from latching and applying power. 3. Leaving the dishwasher door slightly open is also a good way to keep the dishwasher aired out and dry when not in use and preventing bad smells. Do the parts to fix your dishwasher cost more than your dishwasher itself? 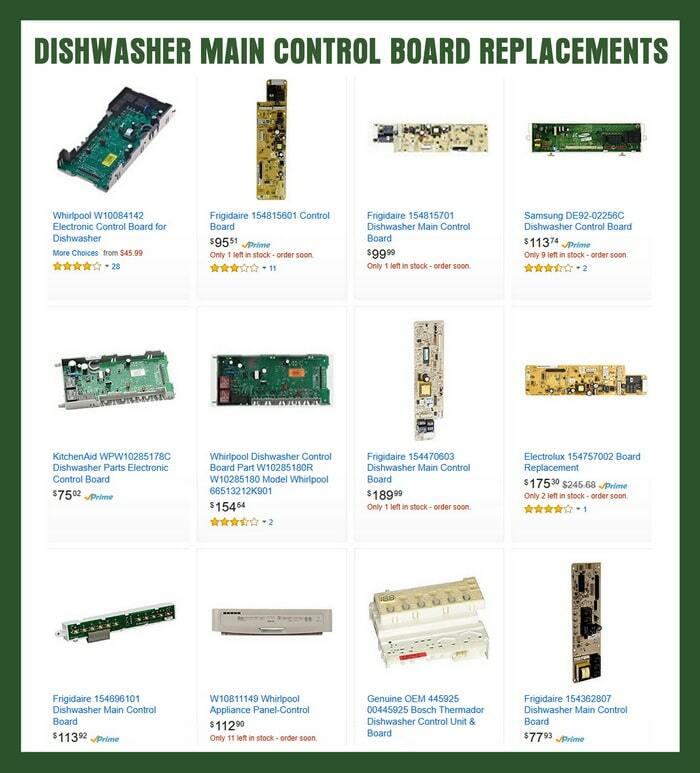 A new main control board assembly, OEM wire harnesses, keypads or other dishwasher parts may be half the cost or more of what your dishwasher cost you or is worth. You may want to replace the dishwasher instead of fixing it as parts can be expensive. If you happen to need a new dishwasher…. Bosch and Whirlpool are among the more reliable brands of dishwashers. 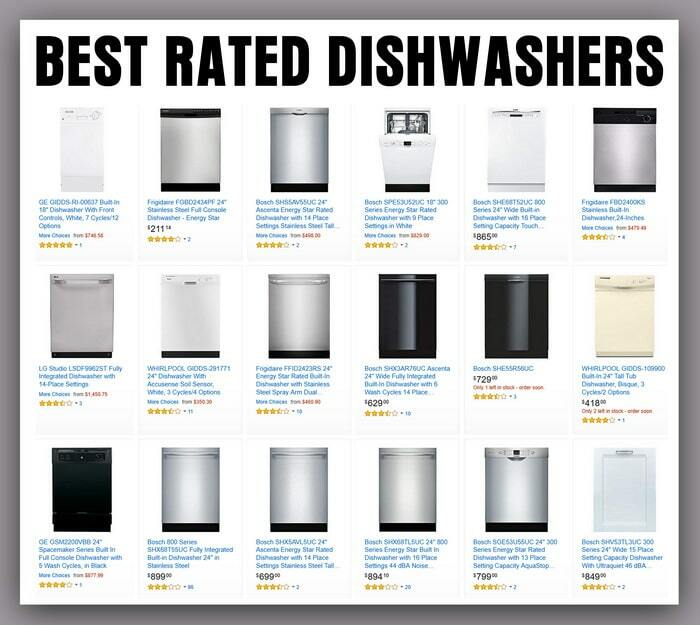 What are some of the top best rated dishwashers? Some of the top rated dishwasher brands and models are the Bosch 800 Series, Whirlpool Gold Series, Bosch Ascenta Series, Electrolux IQ-Touch, Jenn-Air TriFecta, LG Studio, KitchenAid Architect Series II 6-Cycle, GE Monogram Series, Kenmore Elite Ultra Wash, Samsung Top Control Chef Collection, or Frigidaire Gallery 24 Series. Check the Consumer Reports page for The Most Reliable Dishwasher Brands. Consider a new dishwasher if your current faulty dishwasher is an older model as well. Need assistance? Please leave your question below and we will be happy to assist. Remember to leave the Make and Model number of your dishwasher so we are able to help you fix it fast.